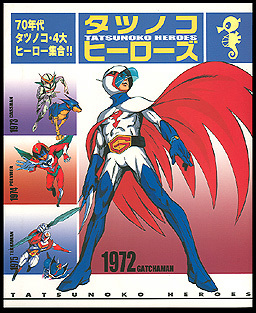 Information: This book reprinted the earlier version of Tatsunoko Heroes, with additional coverage for the DVD versions of all four hero series. This edition also added a dust jacket, where the previous version only had a color cover. To make room for the new DVD commentary, and the expanded OAV coverage for each series, the older OAV entries and goods sections were eliminated.